The thyroid is a gland in your neck that sits near the front of your windpipe. It is an important part of your body functioning because it creates the hormones that control parts of your metabolism, like how quickly you can burn calories. 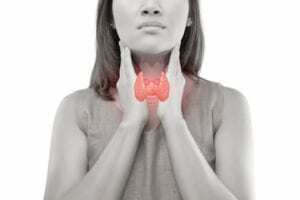 About 1 in 8 women have a thyroid issue. Men are also affected, but not nearly as common. 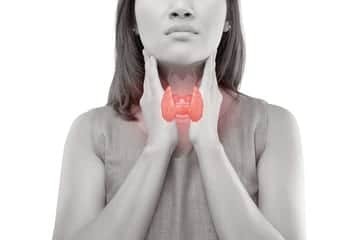 The most persistent problems associated with the thyroid are hyperthyroidism (when it overproduces hormones) and hypothyroidism (when it doesn’t produce enough). Hypothyroidism can decrease the efficiency of bodily symptoms. You may notice some of the following symptoms if that is happening. If you think you may be suffering from hypothyroidism, a quick blood test will reveal the answer. For those who believe they have hyperthyroidism, the doctor needs to check to see if your thyroid is larger than normal or if you have a quickened pulse. They may also check for trembling when you hold your fingers out. If the doctor things you have hyperthyroidism, a blood test may be recommended. If you suffer from any of these symptoms, don’t hesitate to call Coastal, Ear, Nose & Throat today. You can reach our office by calling 732-280-7855.